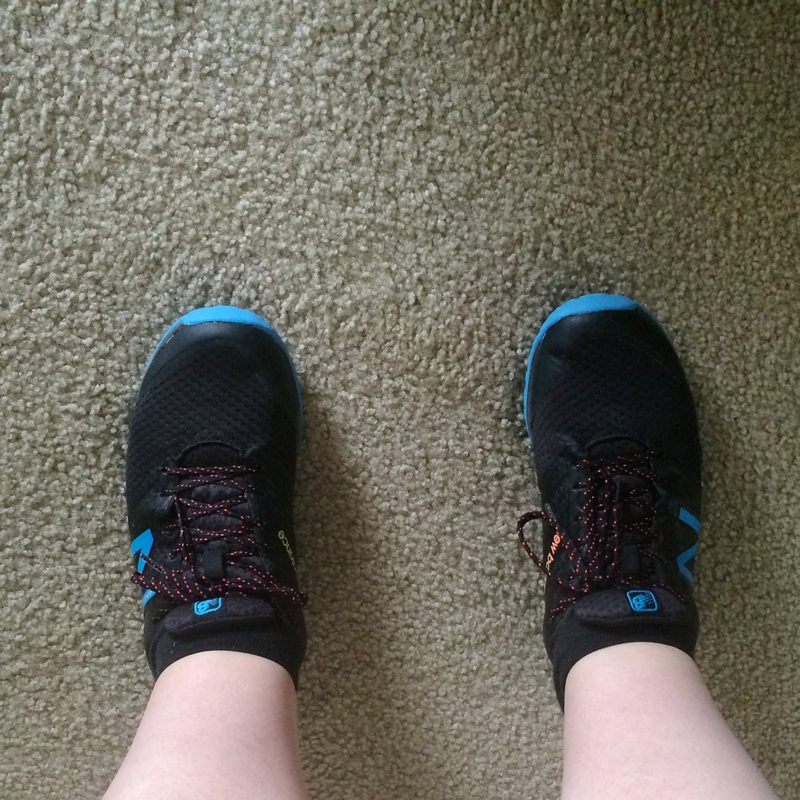 I was going to wait until a few weeks before the 5k (DUN DUN DUN) to get myself a pair of actual running shoes, but last week while I was out Fat CrossFitting, I looked down at my feet and realized that through the mesh, I could see my toes wigging in my socks. Oops. I immediately developed a completely unfounded and unnecessary neurosis about my footwear falling apart mid-workout and the subsequent embarrassment that would follow. I ordered several pair from Amazon in hopes of finding a pair of shoes that I can run in (arch support) and lift in (minimally squishy). I am also blessed with crazy wide platypus feet (thanks, Dad) and an insanely high instep (thanks, Mom). I have excellent arches due to a childhood spent with orthotic inserts in my shoes. Needless to say, shoe shopping is occasionally a challenge; however, two day shipping and free refunds means that I was spared the frustration of actually having to go out. And now I’ve got shiny new New Balances that I’ve already taken out for several runs (and worn to work a couple of times). I wish I’d known, oh, years ago, let’s say even as early as when I was marching Crossmen, how much a difference good shoes and workout clothes make. 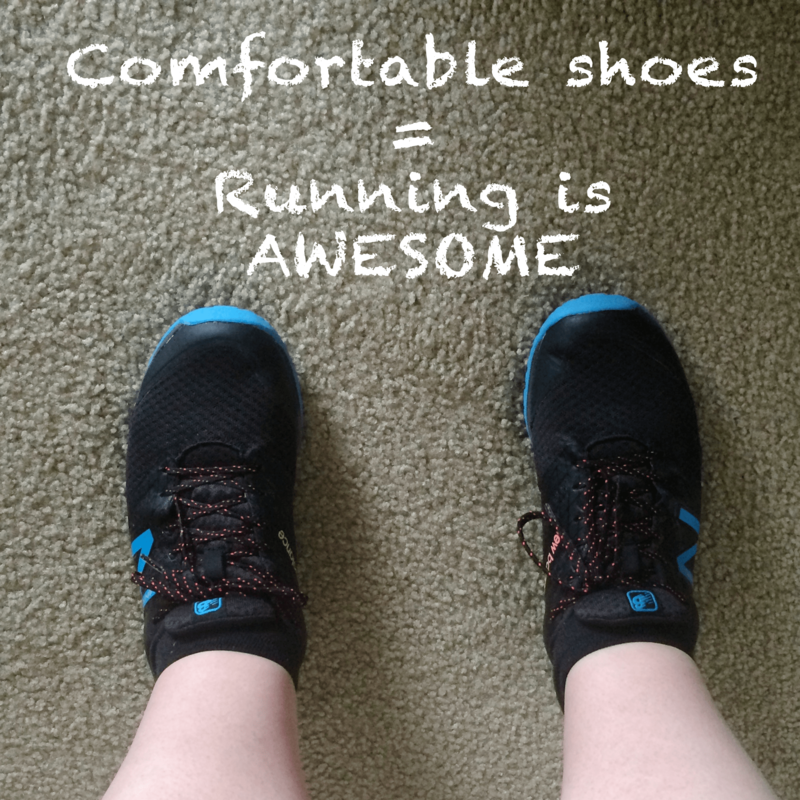 I have been blown away by how much faster recovery is from running with these shoes. I’ve also been blown away by how much easier going to the gym is when my workout shorts fit right, are meant to be sweat in, and don’t have to be constantly adjusted to hide whatever body part I’m feeling self-conscious about that way. I am surprised by the difference decent gear has made.